That picture talks… your quest is to find the news!!! The flickr photos are also shown on the osc09 twitterwall. Please tell me about further galleries and I’ll update this blog post. Today at the openSUSE Conference I took the notes of the governance session. We will continue the discussion tomorrow but let me just publish the raw notes as I took them at the meeting without much editing. openSUSE Conference 09 has started ! The openSUSE Conference 09 has started today ! Some first impressions can get found on our gallery server already. In case you are around Nuernberg, you can still drop by for a talk or a beer ! Posted in Events | Comments Off on openSUSE Conference 09 has started ! It’s the first time for the Start-Up Guide to get a new layout after some years. The result is the new, so called, pocket layout. I am happy to announce that the very first working hybrid iso of openSUSE Education Li-f-e DVD created on openSUSE Build Service is now available for testing. Feature: Added "fuse" and "ntfs-3g"
I hope you will enjoy that new release. 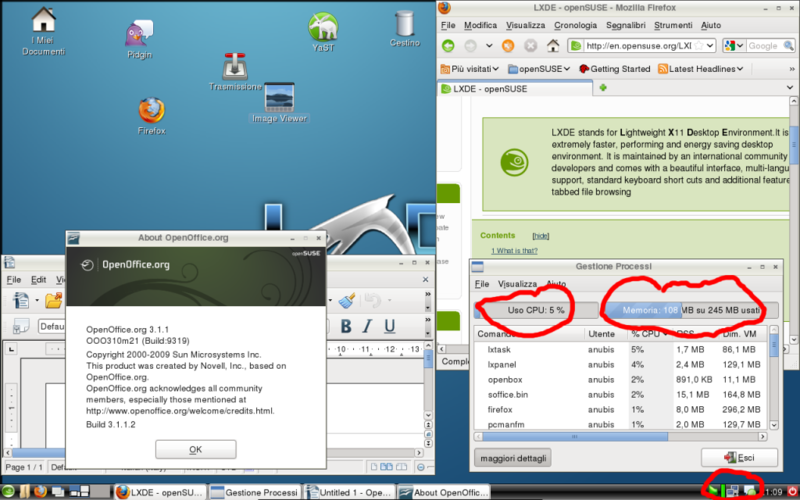 That features asks to provide LXDE into OSS repo, and to made that installable from DVD media like XFCE. MD5 and SHA1 sums are available on that page, a very very BIG thank to Fisher Duan for hosting.